Sonic Youth will be performing their landmark 1988 album, Daydream Nation in its entirety at Pitchfork Music Festival in Chicago this summer, as well as in a few choice European cities. You can check out the schedule for this limited group of performances, as well as the rest of their tour schedule, at their website. Word is a special 2-disc reissue of the album will be released later this year with bonus tracks and expansive liner notes. Previous post ← It’s a confusing time. Sweet! I got first balcony tix at the Berkley stop. 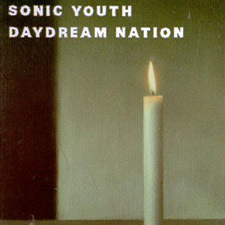 Daydream Nation is one of my fav’s…I can hear the opening to Teenage Riot right now..